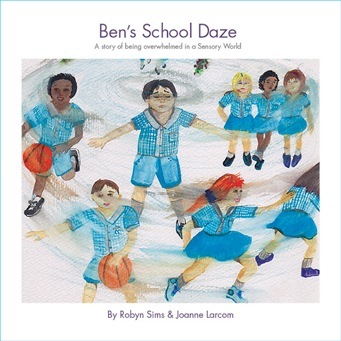 Ben’s School Daze by Robyn Sims and Joanne Larcom is an excellent resource to raise awareness of Sensory Processing Disorder (SPD). Ben finds daily sensory experiences overwhelming. But with the help of those who understand, he can get through the day. This short, rhyming story focuses on SPD and how having people around you who understand it can make a huge difference. Kids will enjoy reading about Ben and discovering how the adults in his life help him. The opening page of this book shares ideas on how to use it before and after reading the story. At the end, it defines what SPD is; let’s you know how we can help; and provides a list of online resources. There is also a page with Classroom and School Concepts. Helen Devenish’s fine artwork is an excellent complement to a great story. I’m sure Ben’s School Daze will be helpful to many. 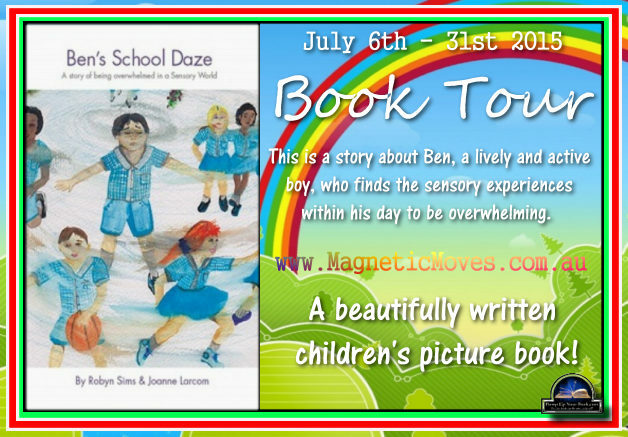 Ben’s School Daze is available at the authors’ website. I received a free PDF version of this book from the authors through Pump Up Your Book. This review contains my honest opinions, which I was not compensated for in any way.